BC SPCA > FAQs > Wildlife > ​I found a baby animal, what should I do? If you have found a baby wild animal, call our Provincial Call Centre at 1-855-622-7722 for advice. They can advise you on how to return the baby safely, or how to tell when they need help. Whether it’s a baby bird, squirrel, deer, seal, raccoon or skunk, a baby animal’s best chance for survival is with its mother. Finding a baby animal doesn’t always mean they’re in trouble – many times, you won’t need to do anything at all. 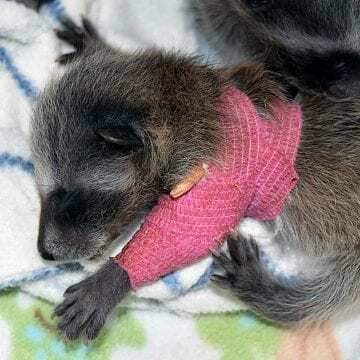 But if the baby is hurt or sick, or the mother is dead, they can help you find a wildlife rehabilitator right away. 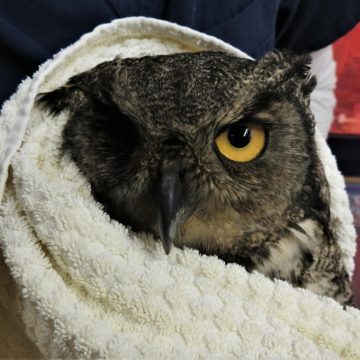 If it is after hours, please call your local wildlife rehabilitation centre. Can I touch a baby animal? Mammals have a keen sense of smell, and may be alarmed or even reject babies that have been handled by people. Birds have a poor sense of smell, and will not reject babies touched by people. This means you may be able to place baby birds back in their nest. Before handling any animals, call our Provincial Call Centre at 1-855-622-7722 for advice on how to reunite baby animals with their mothers. Never attempt to feed a baby animal, this usually does more harm than good. Wild animals require professional care, and it is illegal for you to keep and care for a wild animal.